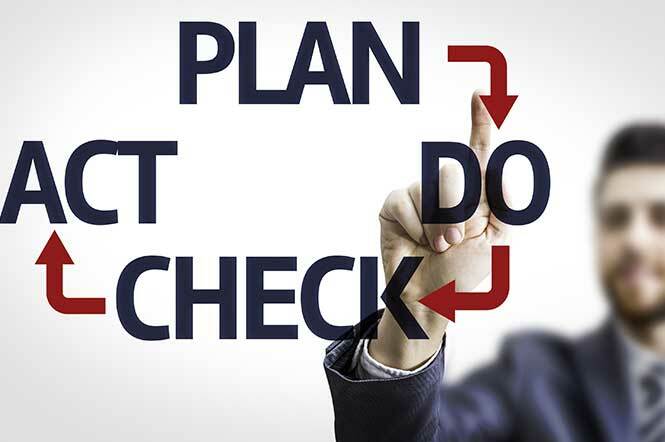 One of the most effective ways to boost productivity in today’s world of business is applying a process known as the Shewhart Cycle, or PDCA, since each of these four letters represents one of the steps in the cycle: plan, do, check, and act. Each step in the cycle is designed to promote continuous improvement so that an organization and its team members are always getting better at what they do. While it is valuable to learn what the Shewhart Cycle is, one of the best ways to gain perspective about the value of this management method is to consider real examples of its application, to see how it has helped actual companies better achieve their goals. Learn the basics behind the Shewhart Cycle: Workforce Staffing Solutions: What is the Shewhart Cycle? For the 2007 fiscal year, the Hitachi Construction Machinery Group decided to implement the Shewhart Cycle to promote their corporate social responsibility (CSR) policy. They began by publishing a report on their existing CSR activity for their various companies in different countries; from there, they used the principles of the Shewhart Cycle to examine the results of this implementation in order to plan on improving their CSR policies for the next year. The Hitachi Construction PDCA case study is a great way to see how even huge global enterprises can apply the principles of PDCA. By breaking down their goals for using PDCA principles and keeping track of each business unit’s results, Hitachi was able to broaden its CSR activities around the world. Pearl River is a hamlet of Rockland County in New York. Its school district was recognized for its commitment to improving its educational quality with the Malcolm Baldridge National Quality Award for 2001. In light of an increasing number of quality concerns regarding education in the United States, the Pearl River School District (PRSD) had three primary goals: improving academic performance of students, improving the perception of the school district, and improving cost-efficiency to gain more fiscal stability. The Shewhart Cycle was important for their curriculum mapping procedure, which defined how the school district’s educators would raise academic performance. To begin, PRSD planned by thinking about what their students needed and how they could provide it for them. For the second step of the cycle, they aligned their curriculum with state standards and set policies that helped teachers deliver instruction that could allow students to learn more effectively. In the assessment or checking stage, the district looked at the performance of students mid-course, and for the final stage of the cycle the district changed or finalized its policies based on what it had observed. The Pearl River School District’s story of quality improvement has many lessons that other organizations can benefit from. PRSD’s case shows how you can use the Shewhart Cycle even in difficult circumstances, as the perception of the school’s abilities was at an all-time low and public funding was drying up when they began their plan. Despite these facts, PRSD was able to improve its parent satisfaction percentage from just over 60% in 1997 to well over 95% by the middle of 2000. These real-world examples should help you see how a wide variety of organizations and groups can apply the ideas of PDCA to execute and improve almost any idea that is critical to the way the organization runs.